Why Elise IS! HA! HA! As we wind down our time in Carthage and prepare for the move into our camper, we have much to do. Our plans are to be completely moved out of this house by August 31st. Right now, my main focus is finishing my certification in TEFL. This is a little tricky when my entire self screams “I don’t want to do schoolwork anymore, I have a degree! !” and of course sometimes it says “It is SUMMERTIME!” So, yeah, I am struggling. Also, we have the issue of a cute little redhead who needs attention. Her big Sis Kenna is away for 6 weeks visiting her dad, and she is getting bored pretty easy these days. So we (this is the proverbial we meaning I ;)) signed her up for 3 back-to-back weeks of VBS (Vacation Bible School)! Last week she learned all about the fruits of the Spirit. She said her favorite fruit was the Pear, “Felicia Faithfulness”. Now that is a mouthful! I love it. Also, a great big thank you shout-out to our neighbors, the awesome Korn family, for providing transportation each evening. 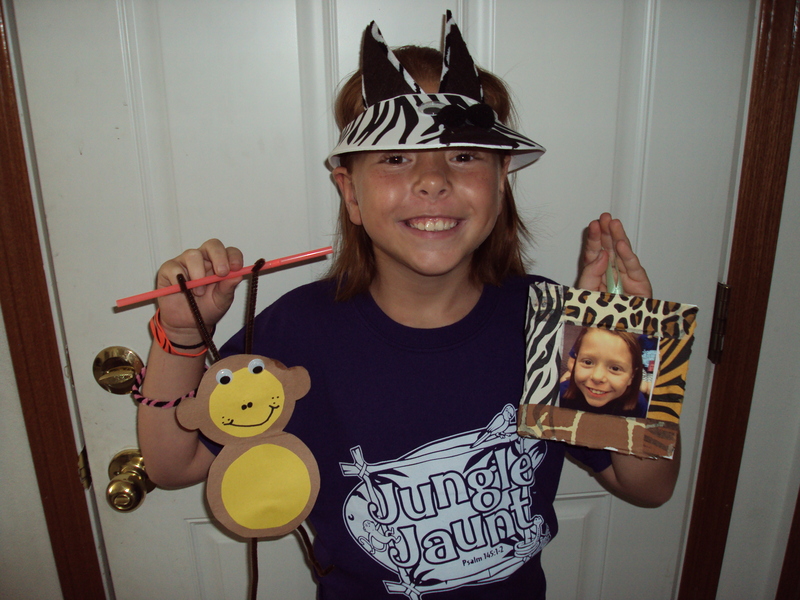 This week she is on a Jungle Jaunt with the some great people at Fairview Christian Church. Who knows what next week will bring for her, but I know it will bring a small gigantic piece of sanity to me. Here is a picture of her from last week’s VBS. 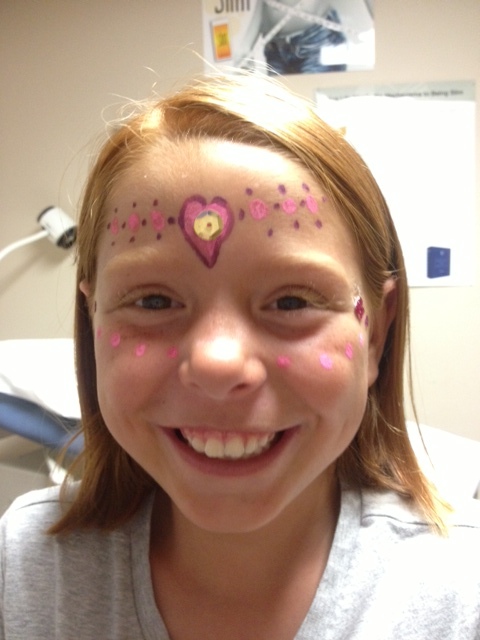 On the last day they celebrated with a cook-out and face painting. Free dinner??? I was all over that!